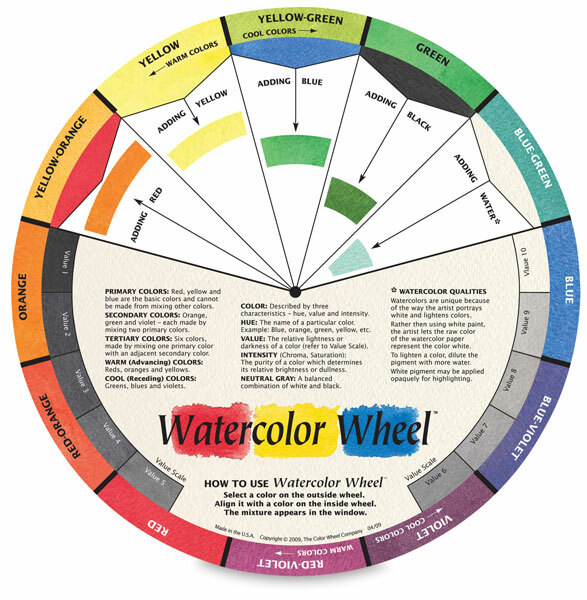 Created by David Pyle, the well-known watercolorist, the Watercolor Wheel lets you dial 144 different combinations of the most common watercolor hues to aid in selecting and mixing. The wheel also provides visual examples of graduated washes from mass to undertones. 10" (25 cm) in diameter.  Watercolor Wheel is a trademark.